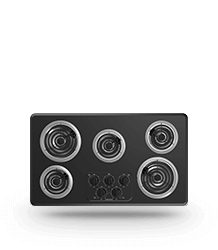 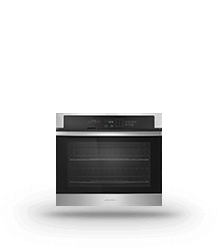 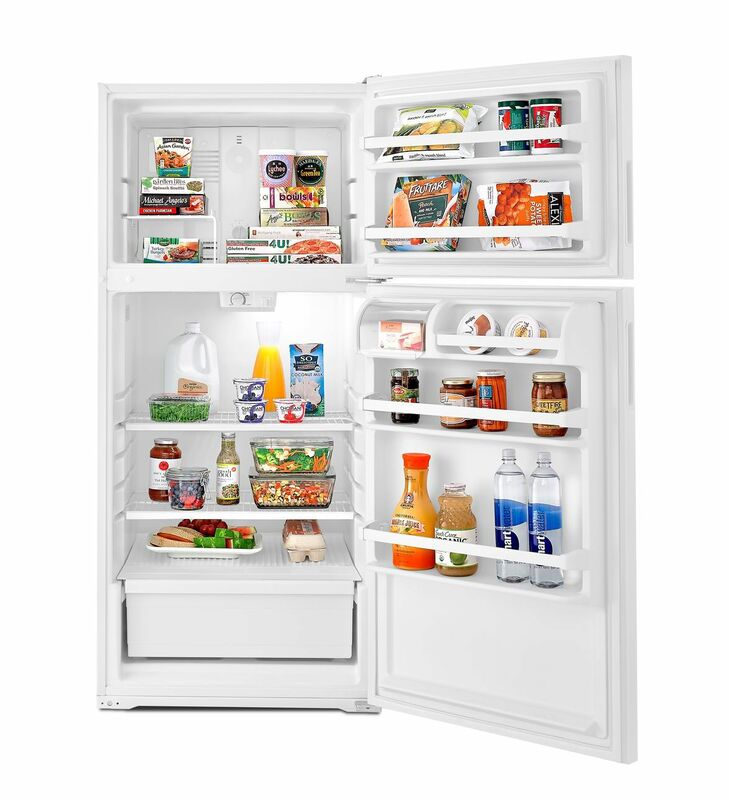 Stock up on the foods you love with this 14 cu. 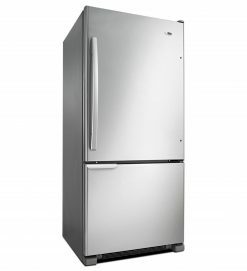 ft. top-freezer refrigerator. 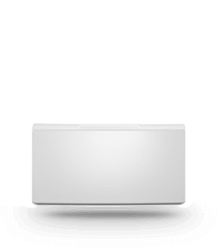 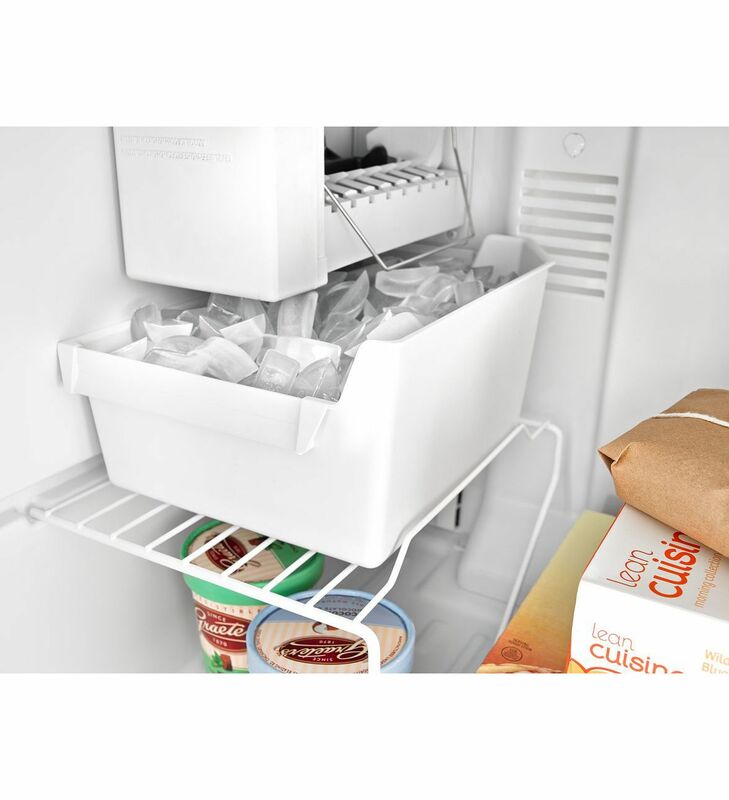 You can easily store it all with a full-width crisper bin, gallon door bins, compartments and shelves that fit your storage needs. 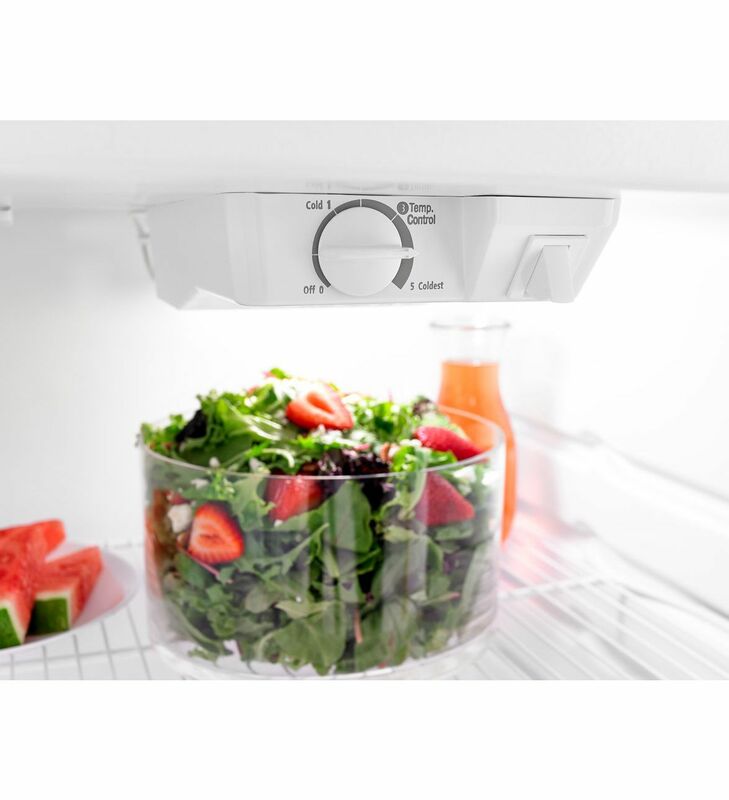 You’ll be able to easily change temperature settings in the door without having to reach to the back of the refrigerator, thanks to up-front temperature control. 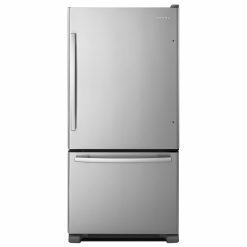 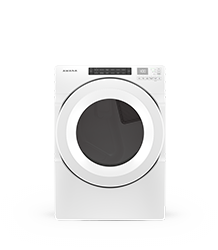 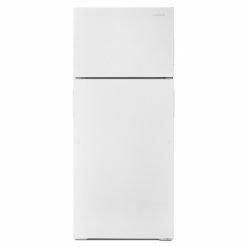 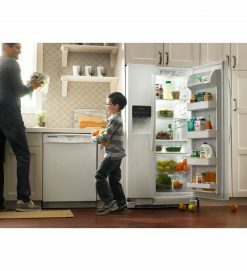 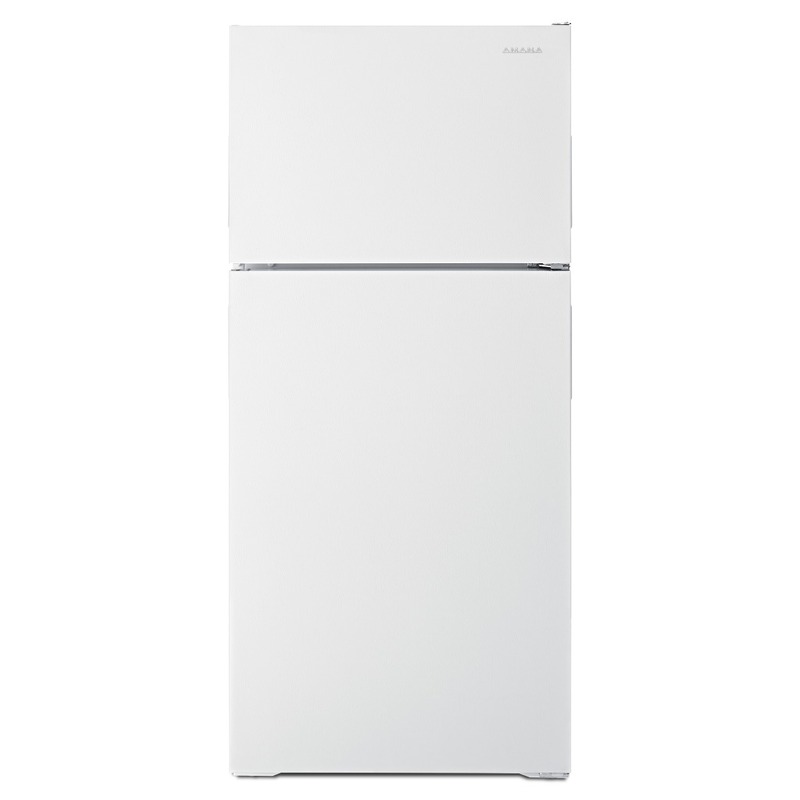 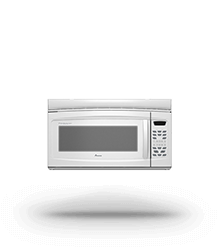 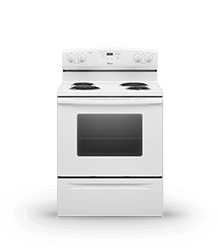 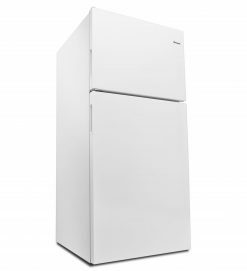 Plus, you can look forward to saving energy and money with our lowest-energy-consuming refrigerator ever. 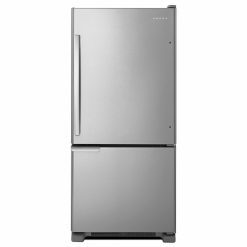 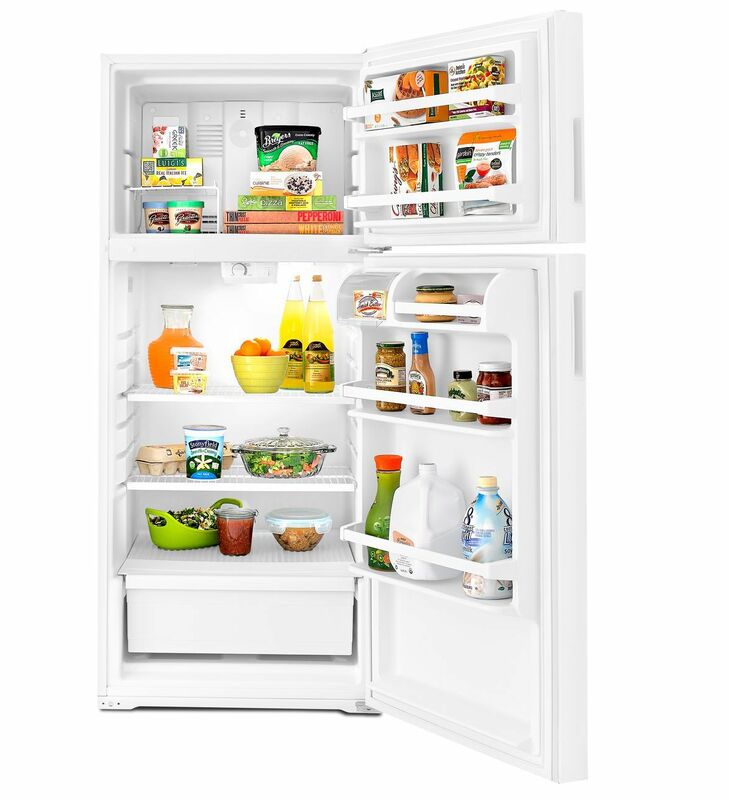 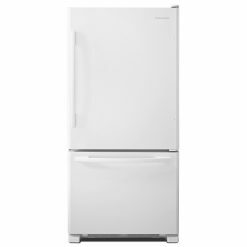 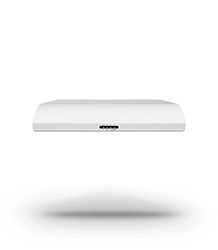 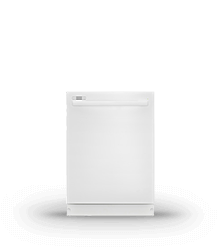 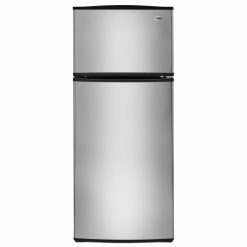 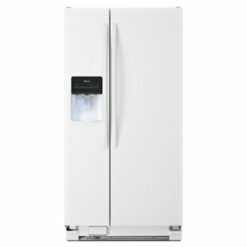 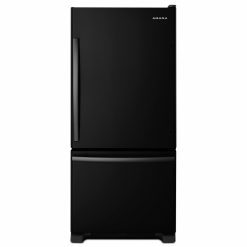 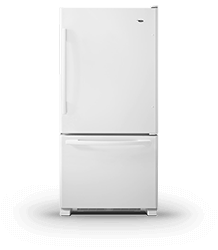 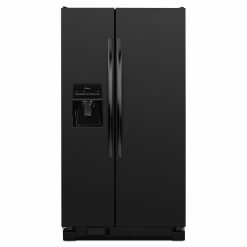 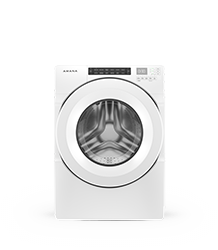 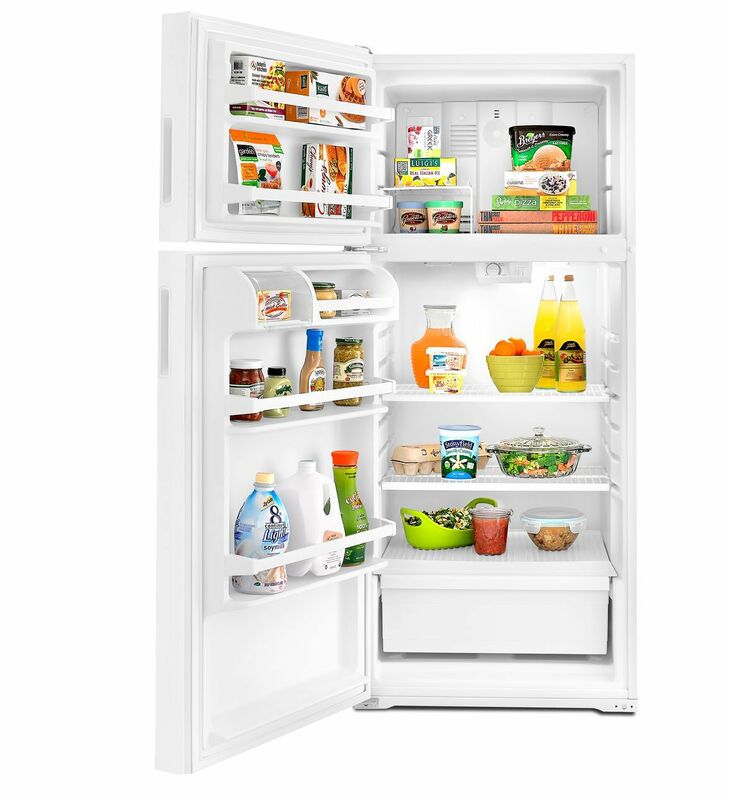 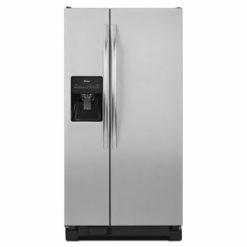 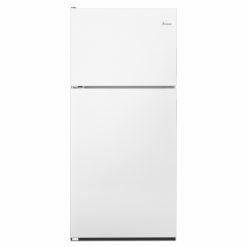 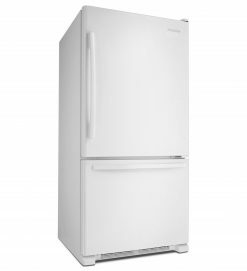 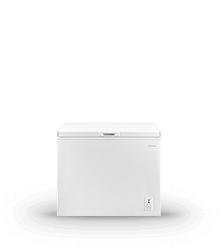 This Amana® Top-Freezer Refrigerator gives you just the right amount of space with a 14 Cu. 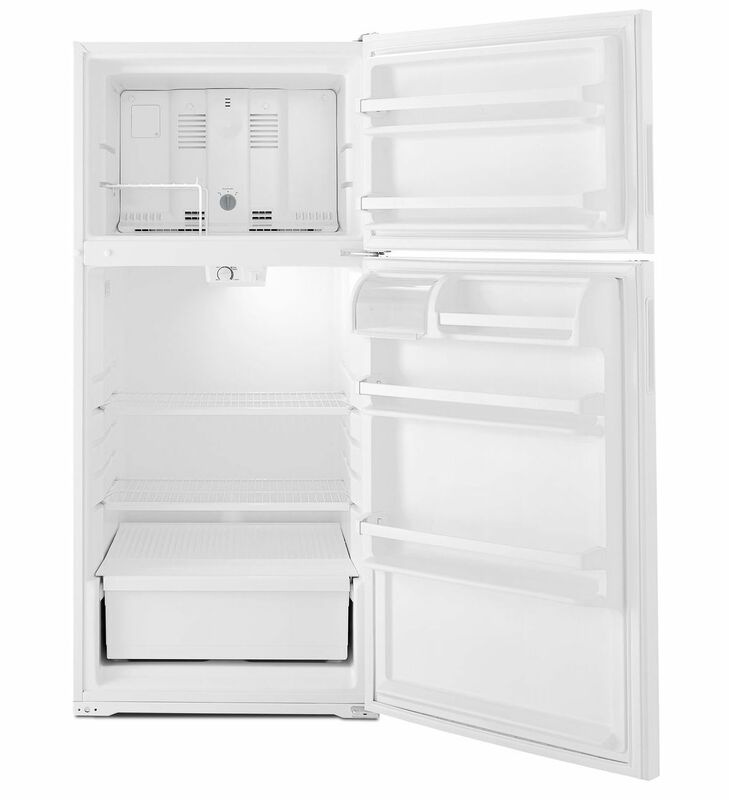 Ft. Capacity.